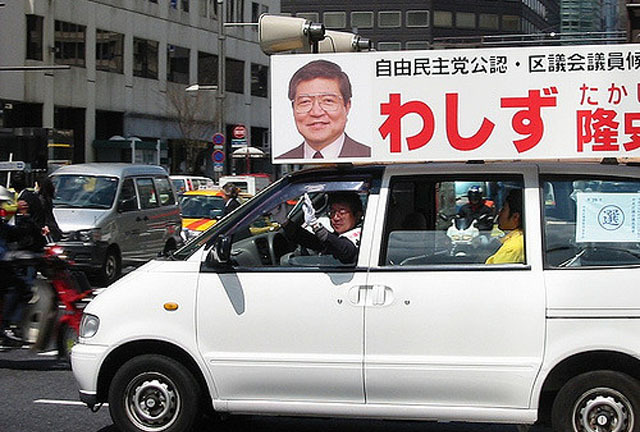 An RDP candidate in Tokyo has implemented an original method of connecting with constituents by increasing the volume of his campaign car speakers. Lower House candidates are banned from giving speeches while in a moving vehicle but there is no restriction on volume. “I think my name is hitting at least 50 more eardrums per kilometer traveled,” said the middle-aged male RDP candidate. The local RDP candidate also plans to play monotonous music on repeat in an attempt to link the tasty goodness of the sweet potato with his campaign. Let the nihongo trance begin !